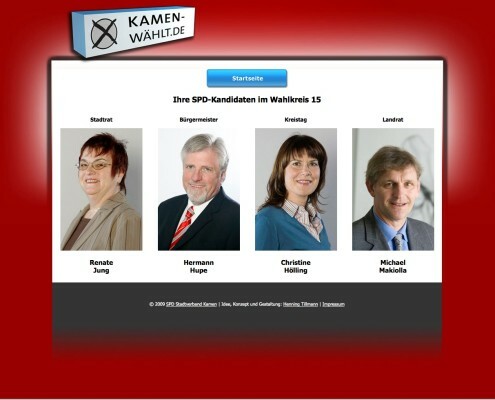 Although 2009 was not a good year for the Social Democratic Party (worst vote results in history during the election for the Bundestag), the SPD in Kamen (North Rhine-Westphalia) reached the best election outcome in 30 years. 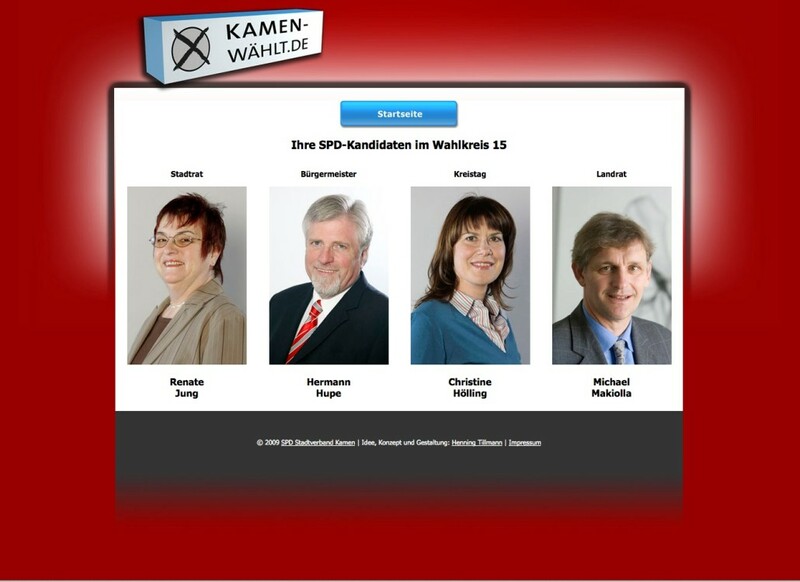 Mayor Hermann Hupe received almost 69% of the votes, the party itself received 52%. 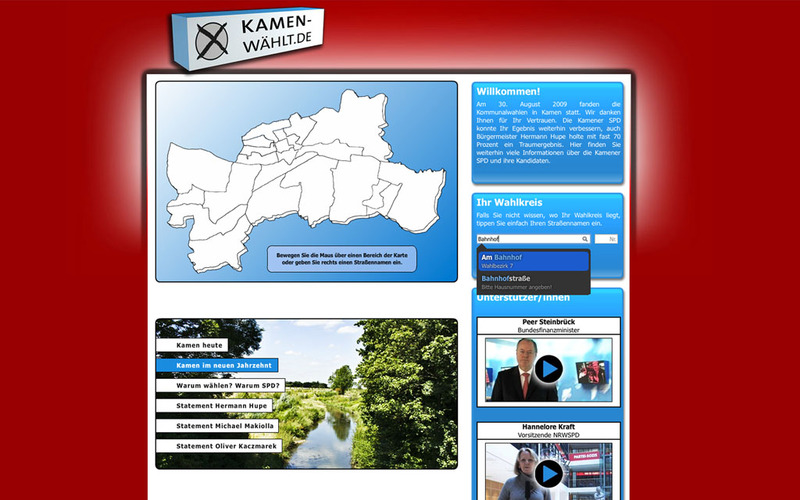 One key element of the election race was the online platform kamen-wählt.de. 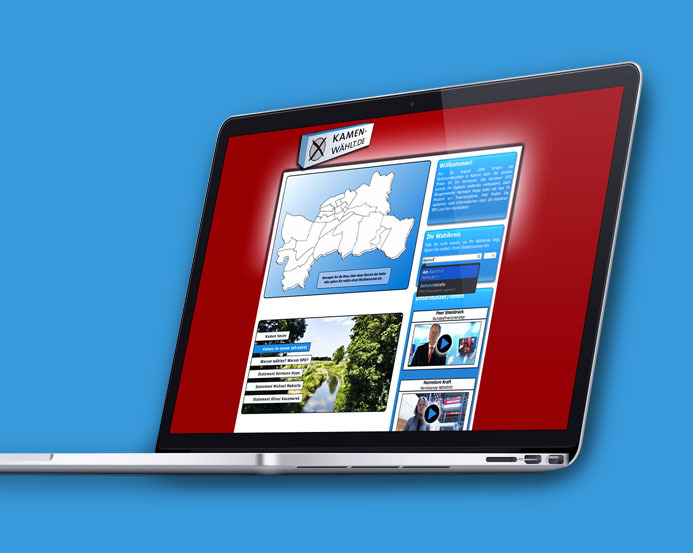 Visitors of the website could get more information about their local candidate just by entering their street name. 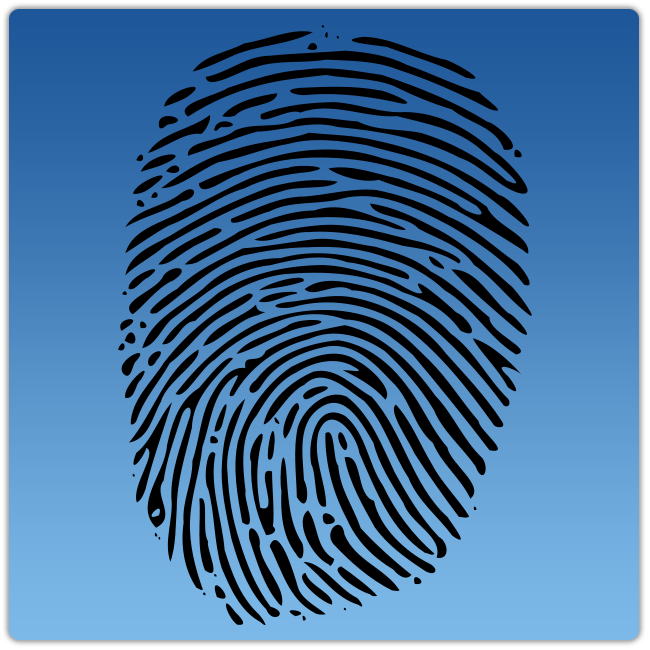 The website contained “call to action” videos featuring former federal minister of finance Peer Steinbrück, among others. The election manifesto was also recreated in videos and the website included a podcast by district administrator Michael Makiolla. 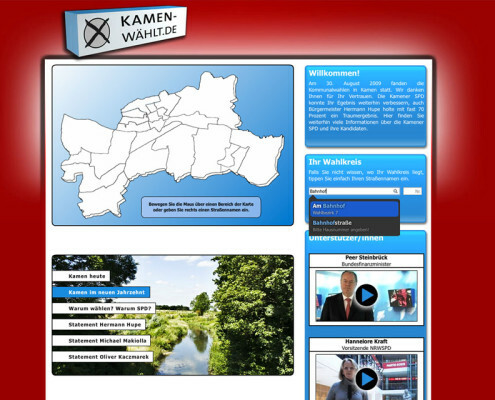 I had the idea for this project in 2008 and it was the first website of this kind for local elections in Germany.